Stand Out in a Crowd. Tampa Advertising that Works. Online advertising includes Pay-per-click advertising, an array of display marketing such as banner ads, pop-ups, social network advertising as well as email marketing, social media marketing, and mobile marketing. 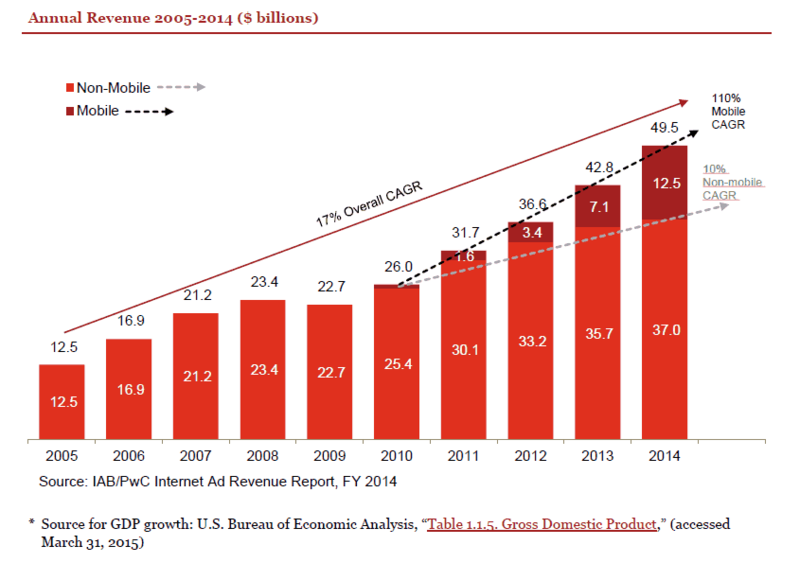 Digital advertising online and via mobile has crossed the $40 billion mark for the first time ever, according to the Internet Advertising Bureau. Since 2004, the average growth rate has been 18 percent. 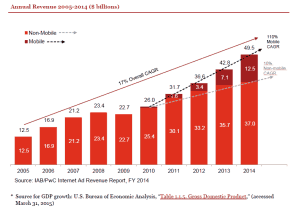 And this year, digital ad revenues surpassed broadcast television for the first time. Search remains the largest overall category, at $18.4 billion, and display hit $7.9 billion, according to the IAB’s numbers, but those categories are growing much slower than mobile and digital video ads. Search is “only” growing at 8.6 percent, while mobile ad revenue jumped 110 percent to $7.1 billion last year, and digital video ad revenue has tripled over the past few years to $2.8 billion. More information at a comparatively low cost. Round-the-clock visibility. Consumers can find what they seek whenever they want. Our team of online advertising experts have worked with companies big and small like Wal-Mart, Sam’s Club, M&M’s World, Wyndham Vacation Resorts, and 1800Hotels, Tathata Golf and many other businesses. We have experience in categories such as automotive, retail, travel and leisure, sports and entertainment, beauty and fashion, personal services, professional services and others. Social media advertising is great way to market your brand, generate leads, and attract customers. Paid advertising on social media is increasing in importance and with its advanced audience targeting options, can give you that extra boost to attract viewers whom you might find tough to reach otherwise. Social Media Advertising options that we provide include Facebook, Twitter, LinkedIn, YouTube, Instagram, Pinterest and others. Yes, we are a digital agency, but we have roots in traditional media. Our sister company LingerGeralds Advertising shares an experienced creative services group and media buying team with us and integrates traditional campaigns where appropriate to client marketing strategy. Integrated Advertising is an essential part of an effective media plan in today’s marketplace. With expertise on online advertising, social media advertising and traditional advertising, Digital Marketing Lighthouse is a valuable partner in helping you connect with the right audience in the right place at the right time. Let’s talk about how Digital Marketing Lighthouse can help you develop your creative message, select media and advertise to grow your business.